Some readers will recall that (R)D has kept an eye on the state of paper airplane engineering. Today, from Guinness laureate John Collins, a lesson in how to fold the world record paper airplane. 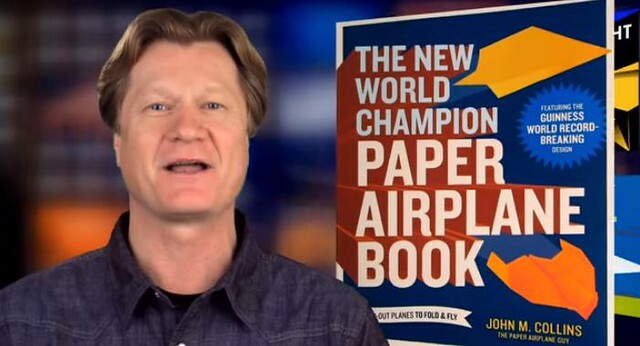 Enthusiasts can join Collins in his Kickstarter campaign to use paper aviation as way to stoke interest in STEM subjects in schools, museums, and libraries around the country and the world– now in its final days. 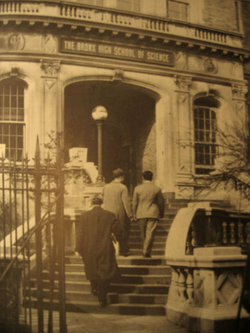 As we worry about wingspan, we might recall that it was on this date in 1938 that the New York City Board of Education voted to establish the Bronx High School of Science. A report by the Board of Superintendents had recommended creating an institution to develop “a scientific way of thinking,” with courses to train prospective physicians, dentists, engineers and laboratory workers. Using entrance exams to screen for suitable ability, about 400 boys were admitted to the first cohort, which matriculated in September of that year in a repurposed building. The school has grown to a full enrollment of about 2,500, and is fully coed. The school has graduated eight Nobel laureates, seven Pulitzer Prize winners, and six winners of the national Medal of Science; 29 of the 2000 members of the U.S. National Academy of Sciences are alums. But the graduate cohort is an eclectic bunch, accomplished in other ways as well: e.g., the great Otto Penzler, editor/collector/archivist of espionage and thriller books; Millard “Mickey” Drexler, CEO, J.Crew; ex-CEO, Gap; Jon Favreau, actor/director of Elf, Iron Man I & II, Chef and others: Mark Boal, journalist, screenwriter and producer, winner of 2010 Academy Awards for Best Picture and Best Original Screenplay for The Hurt Locker; and Jonathan Kibera, Venture Hacker at AngelList.